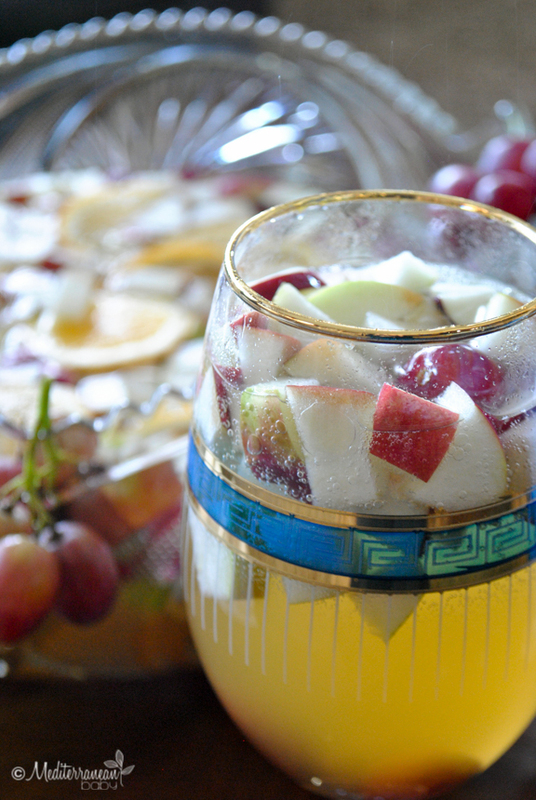 This Apple Cider Sangria was the perfect adult offering at our most recent family gathering. I always like to offer one signature drink at a large party (along with one or two types of beer for those who don’t drink wine). It helps streamline your party preparation and costs and keeps your focus on the food and kids’ activities. 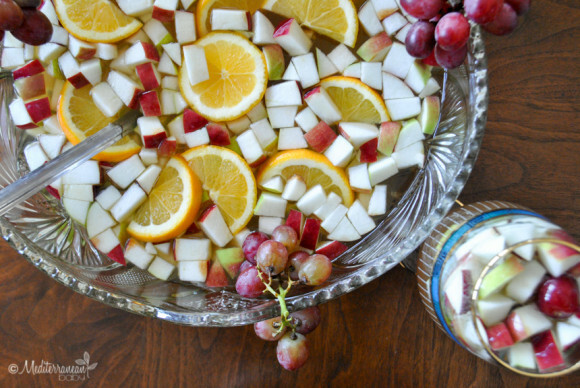 We recenltly had about 50 people over for our son’s birthday party and this sangria was the perfect fall party accompaniment. We recently inherited a gorgeous, vintage punch bowl from one of my husband’s relatives and it looked lovely!! Combine all of the ingredients, except for club soda, in a large punch bowl and thoroughly combine. Uncover and top with club soda. I loved it! It’s perfect for a fall party. Nice drink , I like it !!! !